Sure, we can’t – or wouldn’t necessarily want to – recreate Leonardo DiCaprio’s The Wolf of Wall Street-style yacht party or treat the groom to the world’s most expensive luxury cruise holiday, but there are plenty of affordable boating holiday options for making a stag do an event to remember. The first rule of a stag boat party is to choose a destination that suits the groom’s personality – whether that’s cruising down a scenic rural waterway with a flask in hand, or going full out on a glitzy boat party through the bright lights of the city. While going abroad might seem like a good idea, you’ll still need people to attend, so pick somewhere that’s within everybody’s budget. The UK is a quick, easy and affordable destination for pretty much any type of boat party. We’ve got hundreds of years’ experience of naval and maritime history to draw on so we should know what we’re doing by now. There are plenty of unique boating options to choose from booking a party boat on the Thames to hiring a narrowboat and exploring the UK’s vast canal network. You could even take the longest canal in the UK, the Grand Union Canal, stretching for 137 miles from London all the way to Birmingham. Traffic jams and road rage not included. A safe bet would be to head for the ever-popular Norfolk Broads: a 125-mile network of navigable rivers and lakes in Norfolk and Suffolk. It’s very well maintained, easily accessible and its intricate network of waterways gives you great access to a whole host of local sights, the most diverse wildlife in the UK, spectacular scenery and of course plenty of locally brewed award-winning ale. If you’re going on a boat, you have to think about safety. The stag isn’t the only one who needs to get to the wedding on time and in one piece! This is even more important if you’re in charge of yourselves and there aren’t any boating staff on hand to keep a look out for everyone. And don’t forget to ask yourselves the basics: can everyone swim? Where are the life jackets? Has anyone had boating experience who can help everyone else get a grasp of what, and what not, to do on board? Do you know about the waterways codes? Read up before you climb aboard. You should check for restrictions and closures too, especially just before you set sail. You want your mate’s big night to be plain sailing so, rather than attempting a DIY boat party or spending the night in an inflatable dinghy, it’s always a good idea to choose a reputable boat company that caters for stags. That way, you’ll not end up forking out for a luxury yacht you can’t actually afford, or spending the weekend stranded on a desert island. If you’re going for a self-drive option, then plan ahead so you pick a suitable boat for your party. You’ll need to know how many people are attending and use this to decide the minimum size of the boat. You’ll also want to make sure that it has a kitchen area (with a fridge for food and drink), a shower, a first-aid kit and maybe even a TV if you think the party will want to drop anchor and chill out for a bit. If you’re going for the city option, then you can really ‘push the boat out’ and hire spacious cruisers complete with a captain. That way you can spend your time socialising rather than taking turns at the wheel. This option is particularly good if your stag do is just one night rather than a long weekend. That way you can hire a large boat with enough room for a full-blown party, and even a live band if you want one! A boating trip is like a weekend break in a city, just without the buildings. You’ll still need a guidebook to show you where the best pubs are along with other sites and stop off points. Most importantly of all, the stag will still need something absurd to wear – just because it’s a boating holiday, doesn’t mean he’s off the (Captain) hook. How about dressing him up as a mermaid or Roger the Cabinboy? Once again, it’s safety all the way! 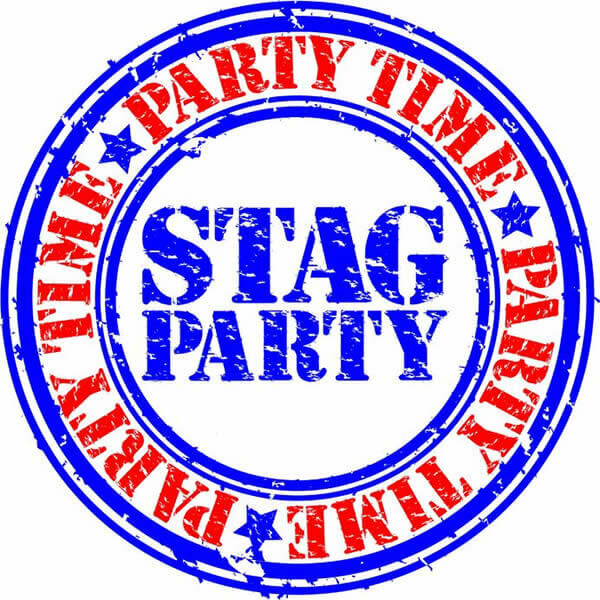 A stag do is a great opportunity to arrange an experience that the groom (and his mates) will remember for a lifetime. It’s different from the usual “lad’s city breaks” and not something he’ll be expecting. Just remember to be respectful of your own safety and the waterways. That means no speeding down the river like James Bond along the Thames or throwing empty bottles overboard like a rabble of drunken pirates. Have a good time and be courteous to other boaters (you never know, they may even want to join in) and you’ll be sure to have a blast … without going overboard!